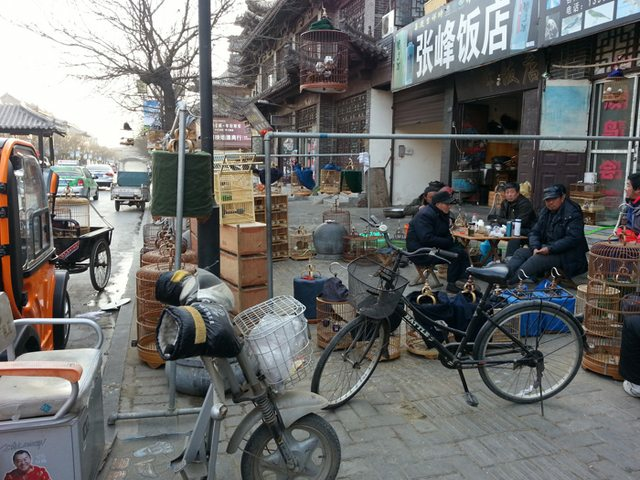 I went back to China over the last winter break to visit family and update my impression of my birthplace, and took (of course) loads of pictures, a *lot* of them somehow relevant to TK. Here's some of the most fun ones! 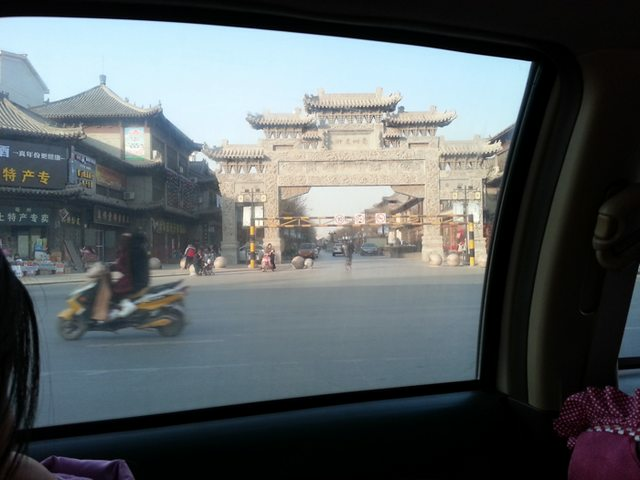 I spent a week or so in Bozhou, in Anhui province. 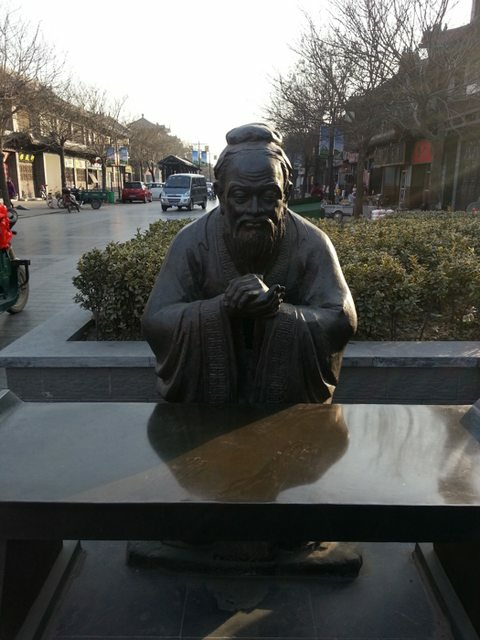 Bozhou is known these days as the center of traditional Chinese medicine, but as the historical Qiao, it's turned out quite a number of historical figures through the millennia, most relevant among them Cao Cao, Hua Tuo, and Xu Chu. 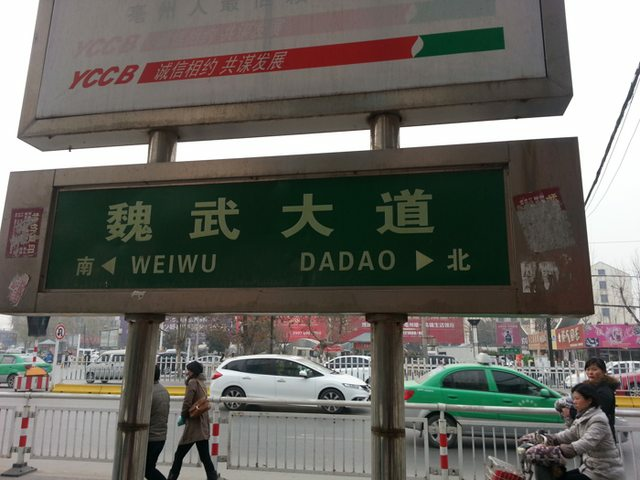 Since Cao Cao is the favorite son, you can't take two steps without seeing something related to him. 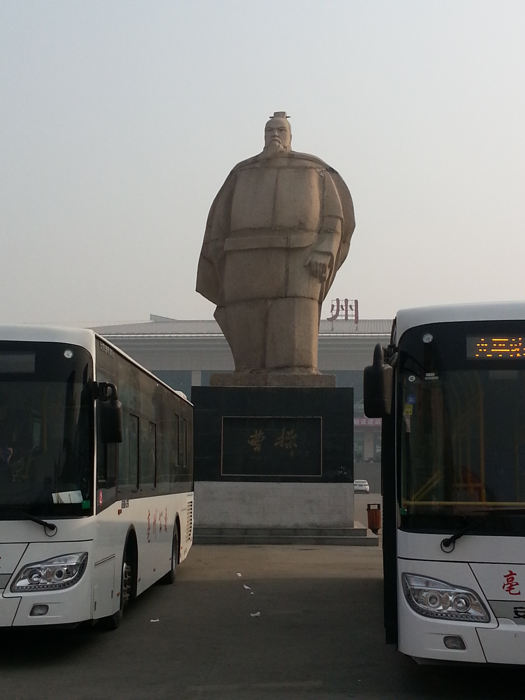 This giant stone-block statue of Cao Cao in front of the train station greeted us on arrival. 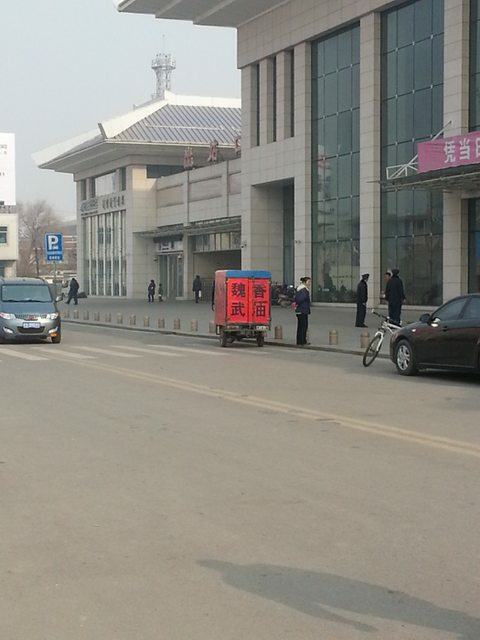 Also in front of the train station, Emperor Wu of Wei's sesame oil cart. 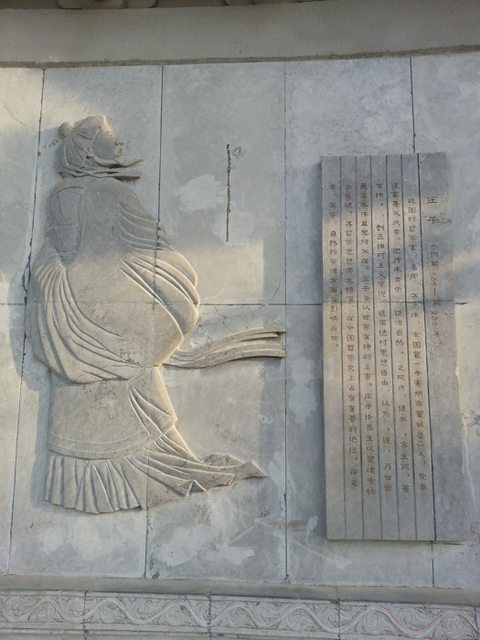 Bozhou also boasted the locations of the Cao Family Tombs and a military-transport tunnel that Cao Cao once constructed to move soldiers, but due to family demands I couldn't visit those. 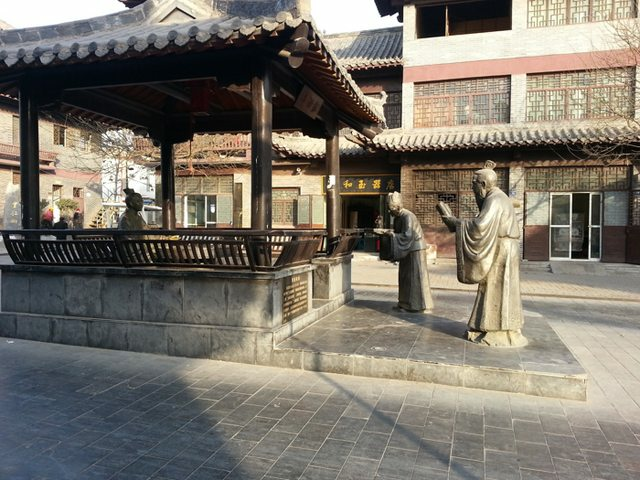 However, I did take a walk through the historical part of town, which was rebuilt into the style of something between Ming and Qing architecture. The cars and advertisements plastered everywhere kind of... ruin the ambience, though. The main gate and the photobombing moped. This is a town of tiny streets and alleyways, and mopeds are the default method of transportation for everyone. I'm pretty sure the only people with cars are the government officials or rich people, or taxi drivers. Walking down the street and finding a gaggle of elderly men having afternoon tea in front of a bird-seller's. 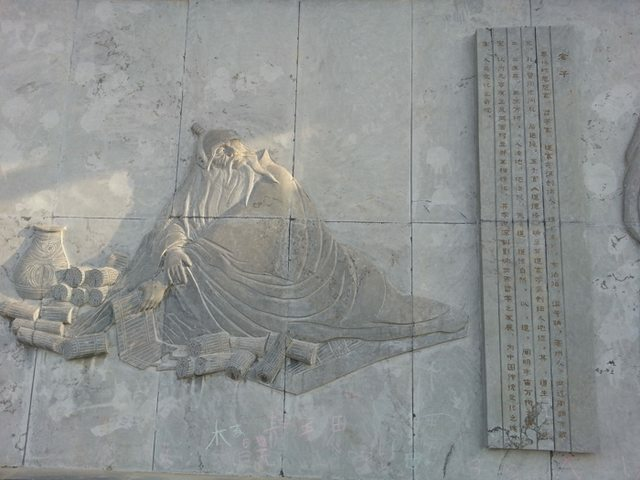 Turns out it was a depiction of the scene of "Cao Cao presenting Bozhou's famous hometown wine to Emperor Xian"! I'm sure that story is in the SGZ somewhere. 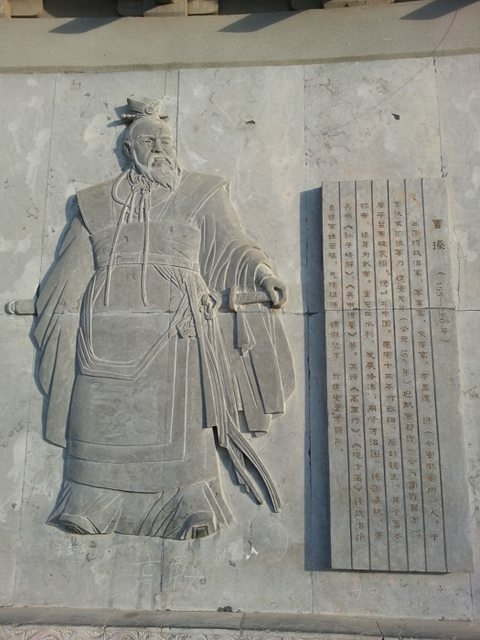 Another panorama, this time of Confucius and Laozi. 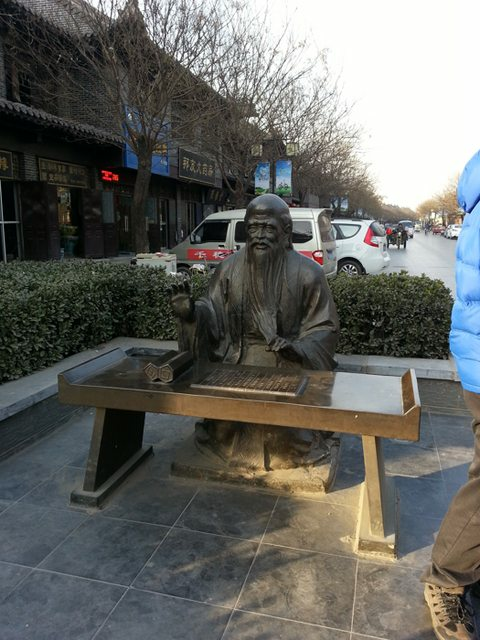 Apparently Laozi was also from Bozhou? As our last stop in the historical part of town, we wandered into an outdoors... park of sorts, which served as the entrance courtyard to a historical opera house. 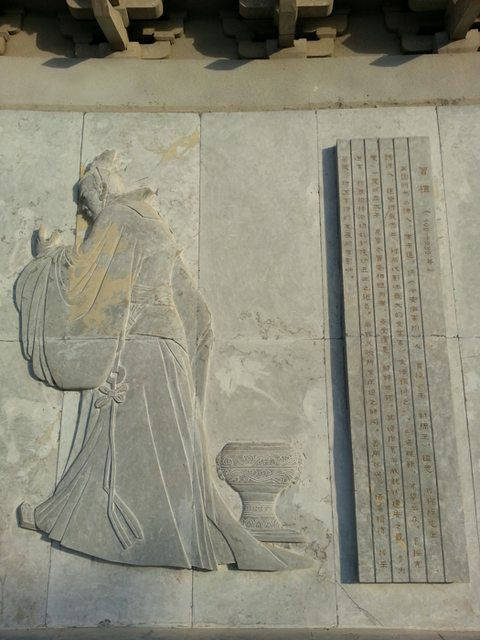 We didn't go into the opera house, however, because I got distracted by the giant stone mural on the far end of the park, showing famous figures in Chinese history that had been born in Bozhou (or could be claimed to be, anyway). Next post will be dedicated to Beijing's own brand of TK kitsch, to be continued. Wow! These are so cool! I want sooo badly to visit China one day and see stuff like this. I may end up teaching English there after I graduate, so we'll see I guess. How often do you get back there? "The bright side of it is," said Puddleglum, "that if we break our necks getting down the cliff, then we're safe from being drowned in the river." mendedties wrote: Wow! These are so cool! I want sooo badly to visit China one day and see stuff like this. I may end up teaching English there after I graduate, so we'll see I guess. How often do you get back there? Love the pictures and certainly appreciate the commentary on them. Cao Cao is looking rather disproportionate in that stone block statue. Look forward to hearing more about your impressions! Great pictures and commentary! 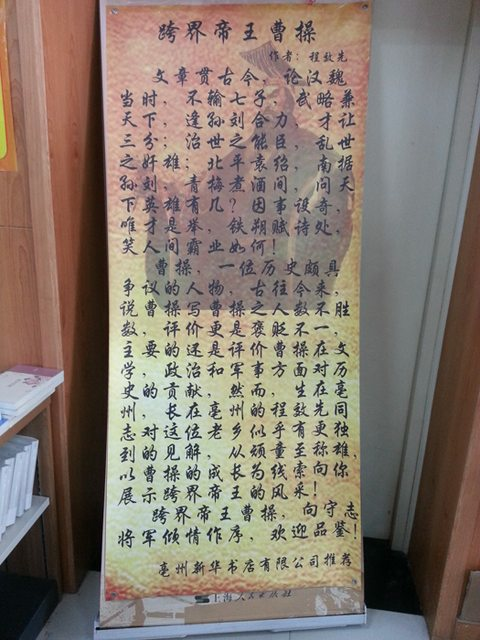 It's cool to see so much public appreciation of Cao Cao. 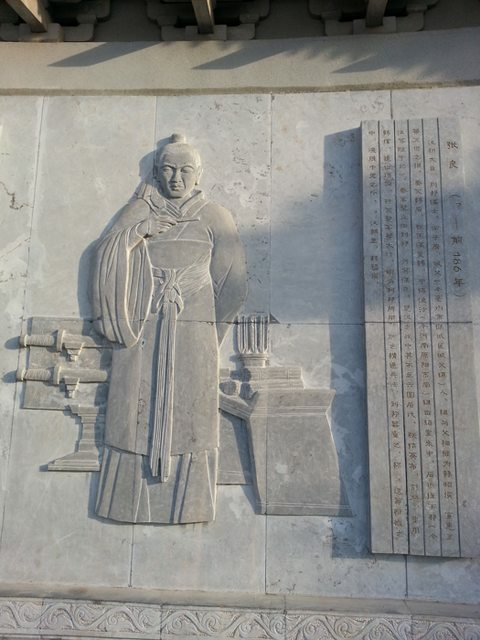 Did you happen to spot anything related to Cao Ren, who was also born in the region? I wish I could have visited there on my recent trip to China. 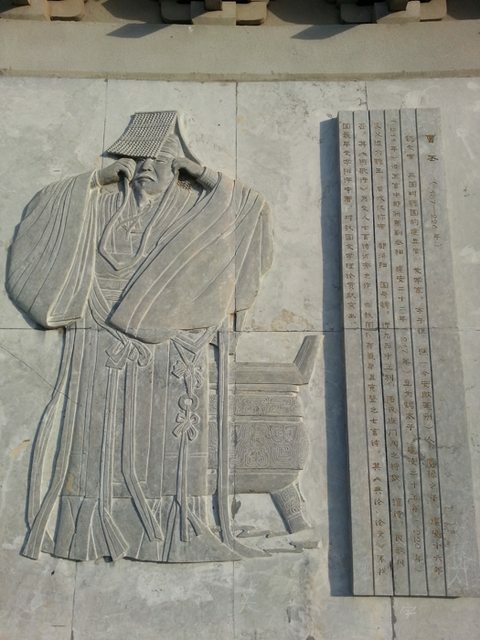 At least I got to see the White Emperor's City and the Sun Quan Memorial Museum in Nanjing, which is awesome even through my language barrier - and also has its share of kitsch. I know Cao Cao is short, but not that fat. But I certainly love that cool Xu Chu. Thanks for sharing these great photos. Anyway, I don't think I have seen that wine presenting story from SGZ. I did remember it with historical settings though, so it could be from another source, i.e. 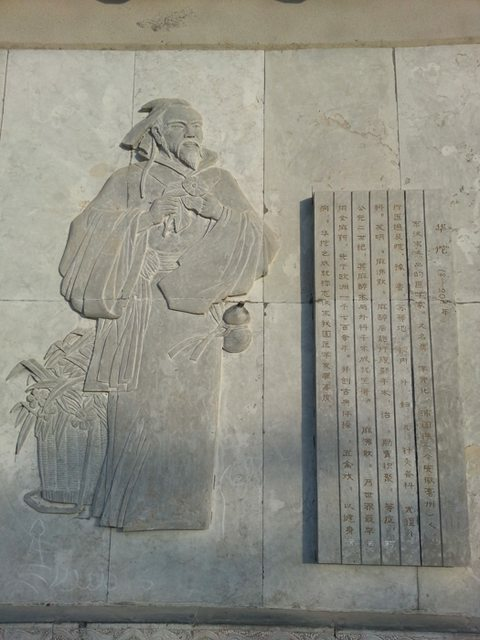 an memorial by Cao Cao. 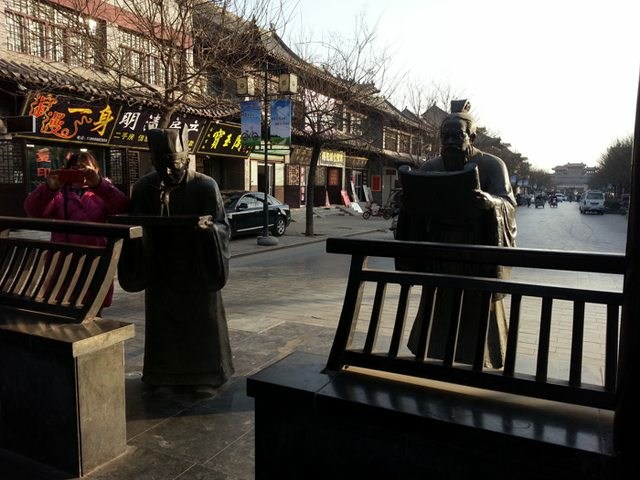 Bozhou is also known to have a Three-Cao street with a Cao Cao wine factory IIRC. Rydain wrote: Great pictures and commentary! It's cool to see so much public appreciation of Cao Cao. 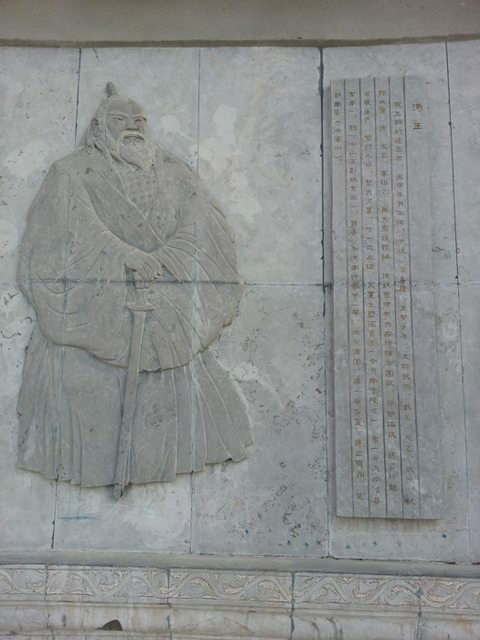 Did you happen to spot anything related to Cao Ren, who was also born in the region? How was White Emperor City? 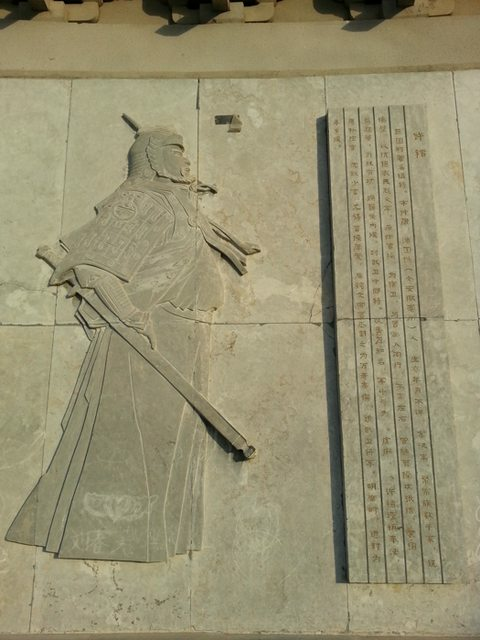 Is it mainly famous for being where Liu Bei died, or are there other historical landmarks there too? TigerTally wrote: I know Cao Cao is short, but not that fat. But I certainly love that cool Xu Chu. Thanks for sharing these great photos. Wait, it's historically recorded? I actually thought they made it up to promote the wine. 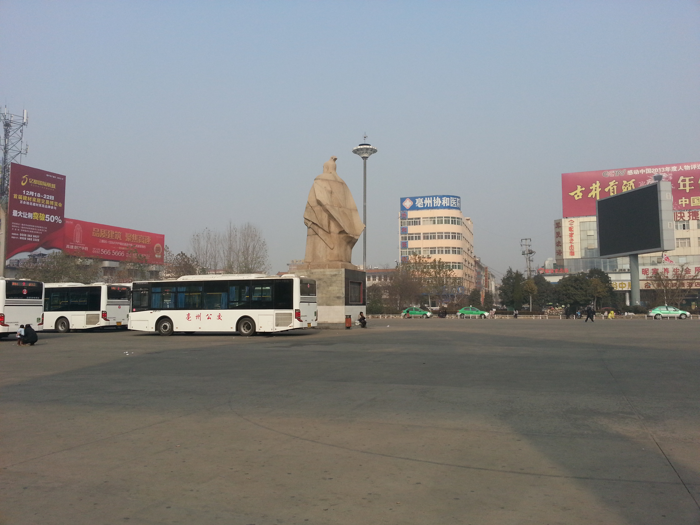 <_<;;; But yes, the wine industry is also pretty big in Bozhou, although we didn't tour the factories. Rydain wrote: I wish I could have visited there on my recent trip to China. 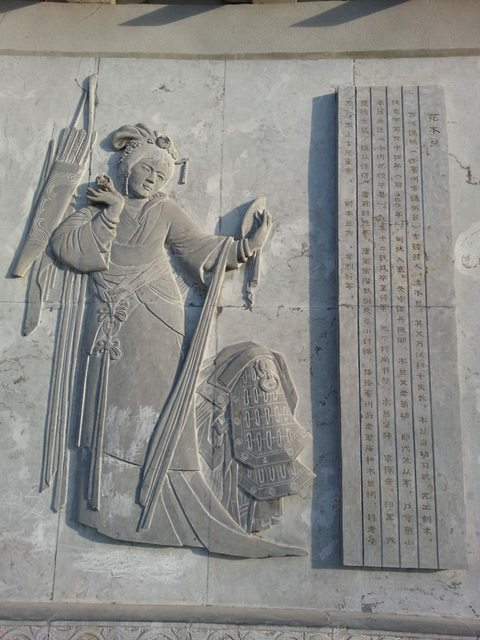 At least I got to see the White Emperor's City and the Sun Quan Memorial Museum in Nanjing, which is awesome even through my language barrier - and also has its share of kitsch. 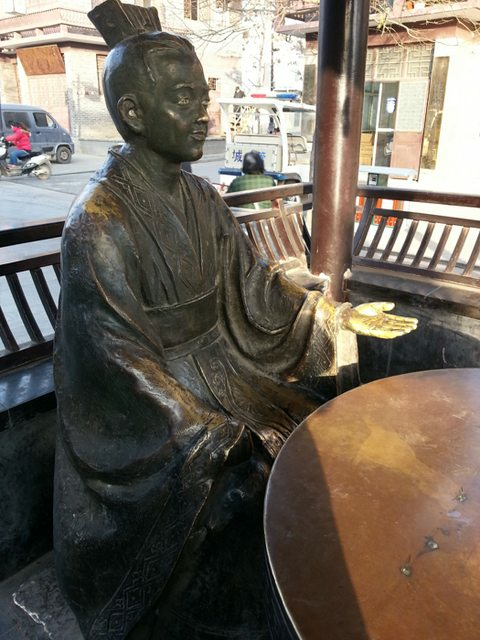 Oooh do you have pictures from the Sun Quan museum? I only had a day in Nanjing and didn't make it there.